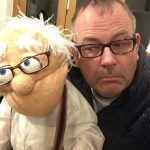 For screenwriters or authors, it’s good to know where the end of act two comes before you get too far into writing your story. Without that moment when we see the main character panicking as the tree burns around her, we are unlikely to be completely engaged with her story. We may not care about the outcome. We need to feel the heat of the flames on her skin, feel the impact of each rock as it bounces off her skull, and know how important it is for her to get down from that tree. We need to root for her (with apologies for the unforgivable pun). When thinking about storytelling, movies are often my go-to, rather than books, although I’ve always loved reading. Some of the subtlety of a book may be lost in a movie, but it is often easier to pick out a through-line, and spot where the different acts of a story begin and end. Gattaca (1997) Columbia Pictures Corporation/Jersey Films. Firstly, Gattaca. For those of you who haven’t seen it, once you have finished reading this, please rectify your error. If you have very little time left to live, don’t finish this article, just go and watch it now. 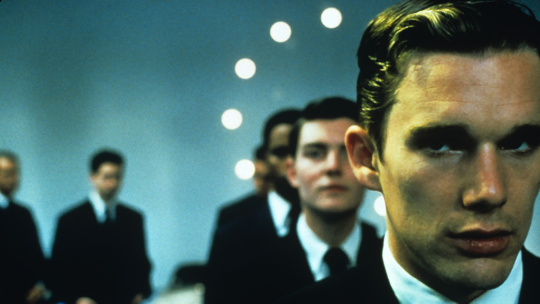 In Gattaca, a dystopian near-future sci-fi movie made before dystopian near-future sci-fi movies were bloody everywhere, Ethan Hawke’s character Vincent dreams of going into space. The problem is, society grades everyone’s potential based on his or her genetic makeup, and Vincent is born lacking the right DNA. Condemned to a career mopping the floors so that his betters can see their flawless reflections in them, our hero cheats the system, using someone else’s genetic material to pass off as one of the elite. The end of act two in Gattaca, I would argue, comes minutes before the end of the movie. Act three is almost always the shortest act of the story, but in Gattaca, it’s very short indeed. A proper spoiler alert here! Skip the next paragraph if you haven’t seen it (and report to me later, after class). Urine tests are regular and compulsory in our hero’s world. Vincent is prepared for this, using a bag of a “genetically superior” individual’s wee. But, just as he is about to board the spaceship and fulfill his dream, the doctor calls him aside for one last, unannounced, test. The game’s up – there’s no way Vincent can avoid detection. But, as the doctor tells Vincent that his own child has been judged genetically inferior, he ignores the test results. Our hero gets to go to the stars. When Harry Met Sally is another great example. End of act two occurs when Harry calls Sally during a period of estrangement. We, along with their friends, have been hoping they’ll get together, but despite finally falling into bed together, everything has gone wrong. This is signaled at the end of act two when Sally picks up the phone during one of Harry’s increasingly desperate voicemails and tells him she doesn’t want to be his consolation prize. Act three is, once again, short, although not as short as Gattaca. There’s a musical montage, an echo of earlier scenes, where the titular pair buy Christmas trees, this time alone. After drawing this neat contrast, we follow Harry around the city streets on New Year’s Eve, listening to his inner monologue as he lies to himself about not minding being alone on the one night of the year where everyone else is with friends and lovers. Finally, he acknowledges he loves Sally, and off he runs to tell her. We knew he loved her an hour ago, but that’s another quality of main characters, particularly in romantic comedies: they are bloody idiots. Lovable, but bloody idiots. 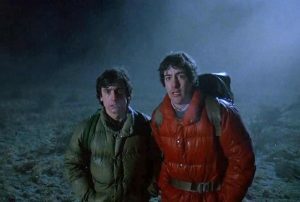 Lastly, An American Werewolf in London. This has an awesome ending for act two. In act one, two American boys have a violent encounter with some kind of animal on a moor. In act two, one of the boys has died, the survivor—David—recovers in a London hospital, where he simultaneously falls in love with his nurse, Alex, and becomes convinced that he’s losing his mind. We, of course, know he’s not losing his mind: he’s a werewolf. The clue is in the title, David. So, when the end of act two comes, it’s a moment of excitement for us as we see him transform, but it’s a personal tragedy for David. From the moment he drops onto the floor to the strains of Bad Moon Rising, act three propels the story towards its inevitable, savage, heartbreaking finale. Give it a try next time you watch a movie. My apologies, in advance, if your partner punches you in the face. Ian W Sainsbury turned to writing after his attempts to take over the world from a secret headquarters inside a volcano were repeatedly thwarted. He’s an Amazon and Audible UK bestseller with his World Walker and Halfhero series. 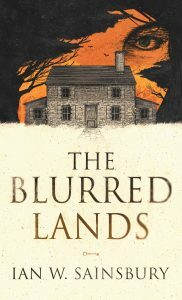 His latest book – The Blurred Lands, has been described as “Narnia for grownups”, and its increasingly menacing tone as like “a nice pot of tea on the edge of a cliff”. Buy it at Amazon http://getbook.at/TheBlurredLands.